The lavish design of this hand-carved France rug makes it truly unique and beautiful. Created in a range of patterns and shades, from subtle mocha and beige to vivid purple and black, the three dimensional surface and the slight shimmer of the rug will add a creative splash to your room and create a beautiful statement. 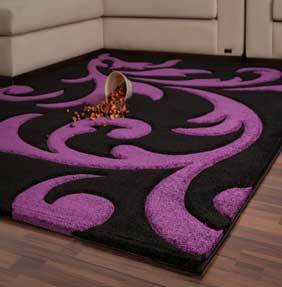 For a cheap rug, the France rug is also excellent value and quality. It is completed using the heatset method making it durable and robust – a true designer piece!